The Oppo R17 Pro was launched in China at a price of CNY 4,299. The device offers some intriguing features including industry's second triple camera setup, support for SuperVOOC fast charging technology, and a minimal notch which brings the screen-to-body ratio to a whooping 91.5 per cent. The primary sensor in the triple camera setup is a 12MP sensor with variable aperture and OIS. The Oppo R17 Pro will go on sale in China sometime in mid-October, but there is no word on a global rollout yet. The UIDAI has made facial recognition mandatory for all authentications that require Aadhaar. It means that on-the-spot live pictures, along with fingerprint and iris scan, will be sent to the UIDAI at the time of Aadhaar authentication. The authoity has also directed telecom companies to implement this feature by September 15, which will be extended to other services which need Aadhaar authentication. The service will be rolled out in a phased manner during days to come. 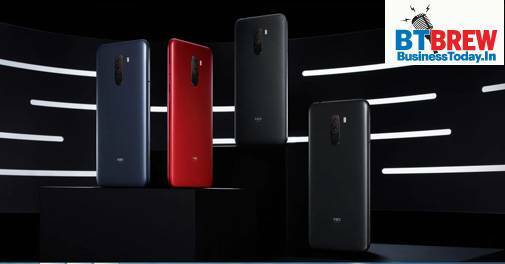 Xiaomi's sub-brand Pocophone launched the POCO F1 in India with flagship-grade performance for a price below Rs 30,000. The device runs Snapdragon 845 with up to 8GB of RAM and 256GB of internal storage. It also comes with liquid cooling for stable performance een during prolonged usage. Prices for the POCO F1 start from Rs 20,999 and go all the way to Rs 29,999. Although Google is yet to announce the launch date for its next generation Pixel phones, the Pixel 3 XL is already available on the black market. The third generation flagship by Google is being sold for $2000 via a Telegram account from Russia. While Google is expected to launch the device some time in October, its reviews have surfaced on several Russian websites, leaking several crucial features and specifications. After the fiasco, Google has said that it is looking into the matter. Google landed in legal soup following allegations of tracking its users illegally even after they have turned off their Location History. Napolean Patacsil of San Diego has sought class action status on behalf of Google users in the US who were tracked without their will and knowledge. The lawsuit alleges that Google violated people's privacy by making false assurations that their movements are not being tracked. In its defence, Google said that it tracked its users to deliver Google Services to them in a better way.